Malelane Gate on the Crocodile River is one of Kruger's busiest points of entry. Cars often have to queue to get into the Park at weekends and during school holidays, and in the hot and humid summer months, tempers can get frayed. One's time is better spent with a pair of binoculars checking out the birdlife than fuming about delays. 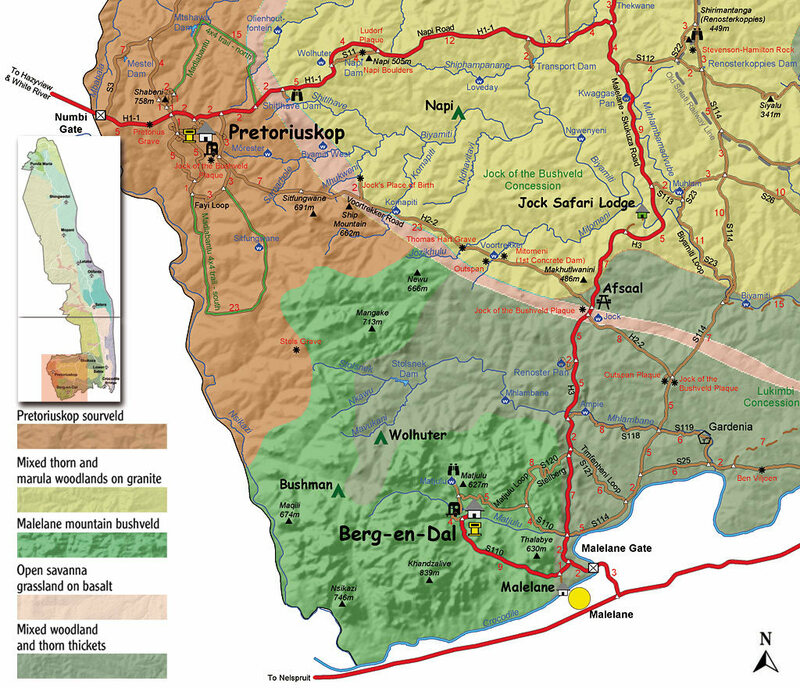 Once the site of a 19th century northern Swazi military outpost, Malelane is well positioned on a traditional river crossing point.The longer the wait, the more chance one has of seeing the White-bellied Sunbird which is found at Malelane and in the Sabie and Luvuvhu River valleys. 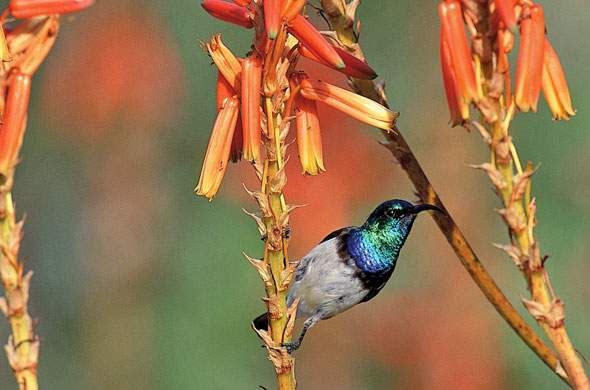 Roberts VII estimates there is a resident Kruger population of about 65 000 White-bellied Sunbirds. It has a curiously rigid feeding pattern. During most of the day it feeds on nectar, particularly Wild Dagga (Leonotis leonotis) when in flower and then by late afternoon, its diet changes to hunt insects and other invertebrates until the sun goes down.One of the later summer migrants seen around Malelane is the Woodland Kingfisher which usually makes its appearance in November, departing again in May. An uncommon kingfisher sometimes seen here is the small, short-tailed, Half-collared Kingfisher, recognisable by its blue head, black beak and white collar halfway around its neck. AC Kemp noted that a Mangrove Kingfisher was found at Melalane after it flew into a window.The Great Reed Warbler, a late European arrival, is usually seen from December to March. Another summer visitor is the Grey-rumped Swallow, believed to seasonally migrate to the Kruger from northern Botswana.